When it launched in 2016, the 737 Max was U.S. jet-maker Boeing’s best weapon in the war for market share with European rival Airbus. The two companies compete head-on for the biggest slice of that market — booming demand for narrow-body jets that can carry 170 or more people across long distances while using as little jet fuel as possible. In barely two years, Boeing has put almost 400 Max jets into service, all of which are now flying under a dark cloud of uncertainty after an Ethiopian Airlines Max jet crashed shortly after takeoff, killing 157 people on board, including 18 Canadians. Coming on the heels of another crash in Indonesia last fall, regulators around the world have grounded the jet pending an investigation. 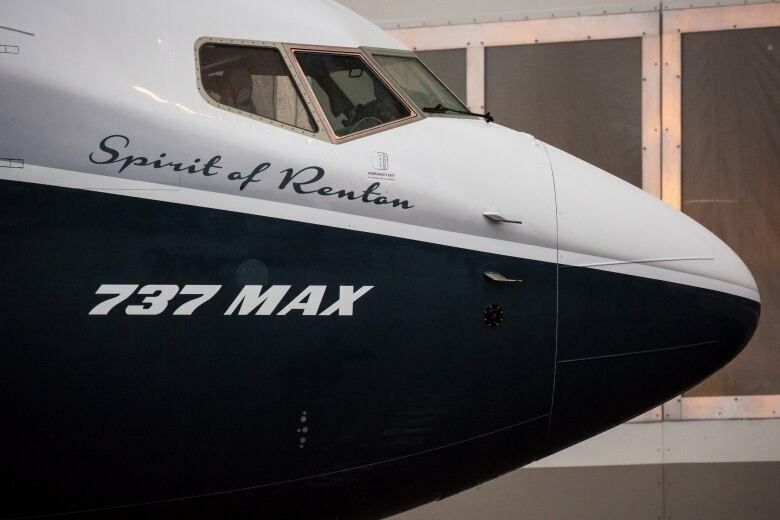 The Max is just the latest iteration of the original 737, the best-selling commercial jet of all time and a mainstay of commercial aviation fleets for decades. 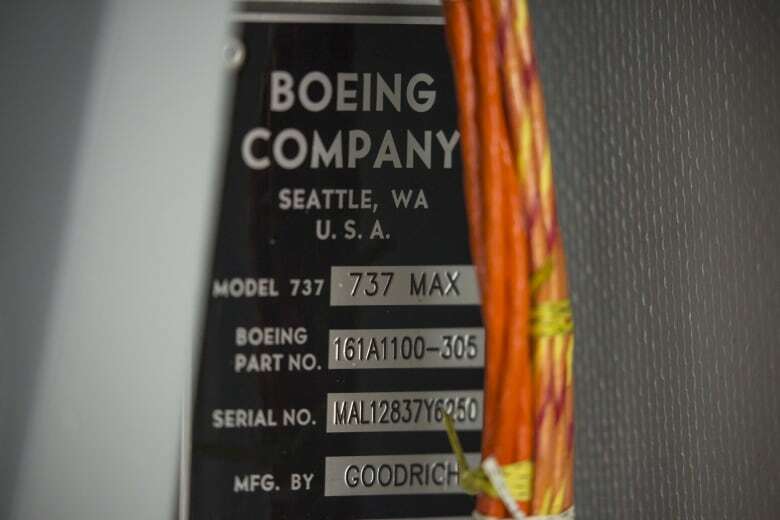 While it shares the iconic 737 name, aviation experts say there are a few design changes in the Max that may be contributing to its sudden tarnishing. Fuel efficiency is the name of the game for modern airlines, and the best way to make a plane better on gas is to give it a bigger engine. Pilot Mary Schiavo says those changes can cause the nose of the plane to pitch up in the air. “And if it pitches up too far the plane can stall,” she said on CBC’s Front Burner podcast on Wednesday. That would be an unexpected problem to anyone familiar with the older 737, which is why Boeing tried to proactively override it by installing software on the planes that would push the nose of the plane back down when the system detected something wrong. The problem? “They forgot to tell pilots about it,” Mackey said. U.S. pilots had reported instances of it happening but managed to assess what was going on and override the autopilot when necessary. But he says less-trained, less-experienced pilots outside Europe and North America are less likely to adjust if something goes awry. Instead of the onerous testing that would be needed on a truly new plane, Boeing simply added a section about the software to the plane’s manual, and offered extra training on the jet if requested. Schiavo, a former inspector general of the U.S. Department of Transportation, says that’s not good enough. “You can’t troubleshoot an aircraft full of passengers on takeoff. It’s the most dangerous part of the flight, and you can’t tell a pilot, ‘If this goes wrong, you fix it’,” she said. Anthony Roman, president of the risk management and investigation firm Roman and Associates, says Boeing has done more than anyone over the years to improve plane safety. But even he says the company’s moves with the 737 Max have been lacking. Part of the the industry’s reticence toward more training is likely the enormous cost associated with it, Roman said. “We cannot count dollars when it comes to pilot training and preparing pilot flight manuals so that they fully understand how the systems work and how to deal with emergencies,” he said in an interview. Schiavo said Boeing is financially vulnerable if there’s a systemic problem that needs fixing with its jet, just as a carmaker is on the hook when regulators demand safety recalls of their automobiles. “If they can do it piecemeal over a period of months rather than all at once it is much less expensive,” she said, but now that the jet has been grounded virtually worldwide Boeing could be facing a significant up-front costs. The Ethiopian Airlines disaster was without question a human tragedy first and foremost. But the repercussions of the crash are already having some serious financial consequences for Boeing. The company’s shares have fallen by more than 13 per cent since Saturday’s crash, the company’s worst stumble since the financial crisis. That’s likely because investors are well aware of how critical the Max jet is for the plane-maker’s future. Boeing is on track to rake in just over $110 billion US this year in revenue from selling planes. But more than a third of its profits will come from the 580 Max jets the company was on track to deliver this year, more than twice what they sold in 2018. There are 5,000 more — more than $600 billion worth — on back order, according to Bloomberg data. Bloomberg aerospace analyst George Ferguson said if the company has to come up with a full replacement for the 737, that could cost it $10 billion or more. “Reaction by fliers and governments globally is likely to hurt market share if the airplane’s systems aren’t updated quickly and confidence restored,” he said. But ultimately, whatever financial cost the company must pay today could well help them in the long run, Roman said. “I think it will be a short-term economic impact for them. and that may be appropriate because it helps drive future decisions for safety,” he said.